On Freeform’s Pretty Little Liars, Spencer Hastings is poised, ridiculously smart, and has her life together (despite being the victim of a crazy stalker). 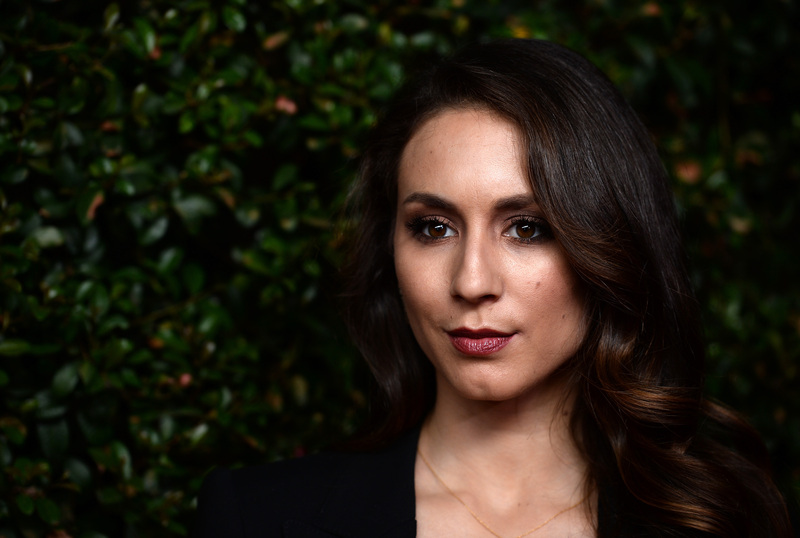 So it makes sense that PLL actress Troian Bellisario has some killer advice on how to be good to yourself. The 31-year-old, who recently married Suits actor Patrick J. Adams in a gorgeous ceremony, has been vocal about her struggle with anorexia and taking care of her body. In November, Bellisario gave a PSA encouraging people to vote and explaining her decision to vote for Hillary Clinton, while also discussing mental illness. Recently, she spoke to New York‘s The Cut about wellness and self care and gave some pretty good tips for treating yourself with respect. It’s a constant struggle, I think, because we have a world that’s full of deadlines, alarms, time restrictions, and little devices in our hands that tell us where to go and when to be there. But wellness is really quieting all of that exterior stimulation down. It’s good advice, especially coming from Bellisario, who had to deal with an insane production schedule while filming PLL over the course of seven seasons. “There were also a lot of long nights running around in the woods acting scared,” she told The Cut, which seems like a pretty apt descriptor for the thriller series, in our humble opinion. Shooting a television show for nine months out of the year, seven years in a row, takes a lot out of you. It’s a pretty big requirement on your life, especially the energy requirement. It’s waking up sometimes at 4:30 a.m., or shooting well past 4:30 a.m., and doing that in the same week. It’s not a lot of sleep. There’s a lot of stress because television moves at an incredibly fast pace, and even though it was a really great work environment, you’re trying to make a product on a pretty intense deadline. She also has the coolest exercise hobby: aerial acrobatics, which she discovered through friends who are circus performers. But Bellisario’s best advice comes down to listening to what your body is trying to tell you. ...It takes a lot of quiet and stillness to really listen to your body — to listen to what it needs for nourishment and to listen when it’s thirsty, and not just feed it a soda or coffee. Just give it water and take care of it. Listen when it wants to stretch its legs and walk out in the sunshine, and when it needs a day to sit on the couch. Make 2017 the year you start listening.